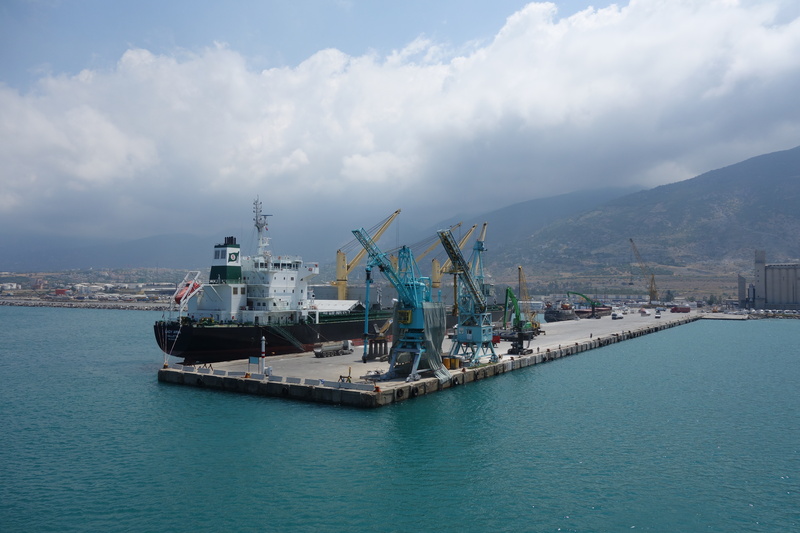 Thirty hours of cruising on The Aqua Hercules has brought us to the port of Iskenderun in Turkey, not far from the Syrian border. The mountains of the Turkish coastline rise steeply out of the sea. Pale and dry they are covered with blankets of pine trees. Dark clouds obscure the higher peaks. It is the first hint of rain we have seen since leaving Kenya. No one knows how long we will be kept on the ship, especially after the fiasco in Egypt. Customs agents come aboard. The visa fee is 60 USD. We try to get a transit visa but regardless of our duration they hold firm. It seems such a waste for what is intended to be a 3 day stay in Turkey as we make for the Iranian border. Our visas are issued but as Marcus has told us time and time again. We have not left Egypt until we are out of the port in Turkey. Marcus is right. We spend the best part of 4 hours being circulated around various buildings and bureaucrats before finally being released. As foot passengers we probably could have left sooner but we have grown fond of our group over the past week and are keen to have one last night together in Adana, before going our separate ways. Turkey comes as a bit of a shock after spending such a long time in countries where road rules and traffic lights are more suggestion and decoration. There are no goats or donkeys by the side of the road. The traffic flows in a smooth and orderly manner. It feels so organised and sterile. The streets of Adana are brightly lit and infused with the smell of roasting meats. Pyramids of baklava and mounds of Turkish delight are pushed forward onto the streets like a culinary trap for those with a sweet tooth and no will power. As our time in Turkey is limited we indulge generously with no regard or guilt. The next morning we bid farewell to our fellow inmates from the Aqua Hercules. It is always a little sad to meet such nice people and then have to say goodbye. Being trapped together on the ship has forged friendships. We are all together now, but in a matter of days we will be scattered apart in different countries. For over five months we have been heading north, but today that will end. From now on our heading will be east until we reach the Pacific Ocean sometime next year. I stare down the long road. It stretches out of sight but beyond is Iran and Central Asia, Pakistan, India, Nepal and China. Ahead are ancient mosques and Tibetan temples. Endless deserts, dark jungles and the world’s highest mountains. I look back over my right shoulder towards Africa. I think about Mt Kilimanjaro and the Serengeti. Our four day train trip from Zambia to Tanzania. The 17 hours we spent driving from Isiolo to the border of Ethiopia. The deserts of Namibia and the Victoria falls. They are all connected to this very spot, this moment in time. I feel very small, like a match on the ocean. It is a humbling experience to see the world this way. I feel excited and very fortunate. We push forward over shallow green hills and fields of tulips. The sun is setting behind us now, we are heading east. Our bus is the finest that Mercedes Benz can produce but it still does not make for a comfortable night’s sleep. We arrive drained and decide to rest after 18 hours of travel. Dogubayazit lies 30km from the Iranian border. It is dominated by the hulking shape of Mt Ararat; an extinct volcano that is etched into biblical folklore as the resting place of Noahs Ark. Even in high summer her summit and shoulders are draped in snow. The town is exclusively occupied by Kurds, who will proudly inform you so at every opportunity. 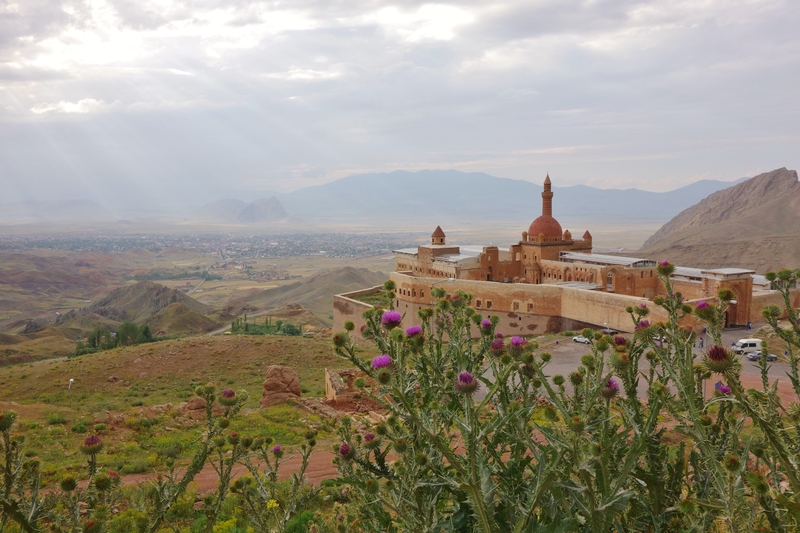 High on a ridge behind the village is the beautiful Ishak Pasa palace. It blends into the countryside like a Middle Eastern fairy tale. The clouds above swirl and break allowing streams of sunlight through. Tomorrow we will cross into Iran or Persia as it was once known. It is now the 13th of July and we have less than a month to reach Pakistan. Our delays in Egypt have put us even further behind schedule. Hanging in the balance are visas for Turkmenistan and Uzbekistan. We are fortunate that Kyrgyzstan has now lifted visa requirements for most western countries. Tajikistan will no longer be possible and falls victim to our tight schedule. Another casualty is Iran. It is a major blow. We no longer have enough time to journey south of Tehran. Our time here will be limited to collecting the Uzbek visa and then heading east to the Turkmenistan border. It seems such a shame but we have travelled here before and so it is sacrificed in order to give us more time in the central Asian countries. Persians are highly polite and curios people. The young woman who interviews us at the border is no exception. 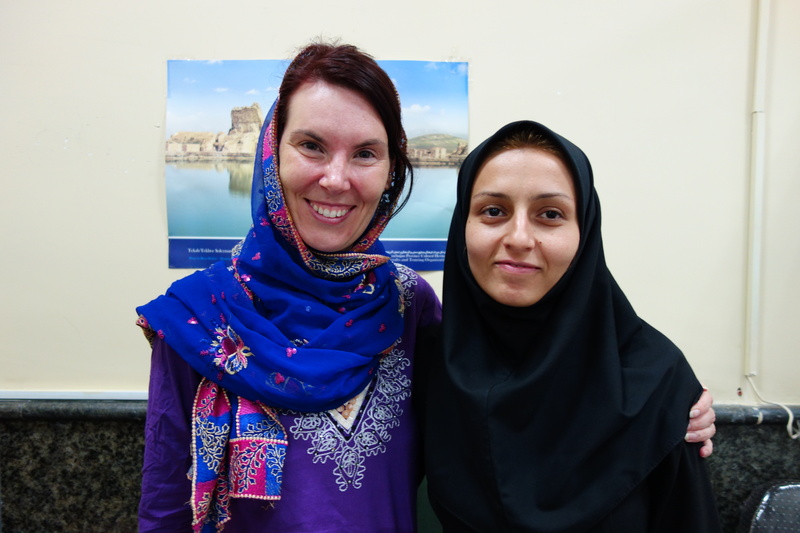 She is keen to hear about life in Australia and how we perceive Iran. We discuss world politics and fashion, film and art. I am not entirely sure if we are being questioned, but if we are it is certainly candid and charming. Understanding prices in Iran can be confusing. The currency is the Rial, which is officially valued at around 13,000 per US dollar. The Banks however will give you 25,000 and the black market is 33,000. Prices are generally quoted in Tomans which are ten times the value of rials. From the border to the first town where we can pick up a bus is around 30km. Our taxi man holds up ten fingers. Is this ten dollars, ten thousand rials or ten thousand tomans. Could it be 100,000 tomans? Calculations flick through my mind, zeros are added and subtracted dividing by three. I remember some of my limited Farsi phrases and ask chand toman? (How much in tomans) Again ten fingers. I pull out a 100,000 Rial note the equivalent of 10,000 tomans or 3 USD. He nods his head in confirmation. Three dollars for a thirty kilometre cab ride; not bad. I shouldn’t be surprised as fuel in Iran is the cheapest in the world. 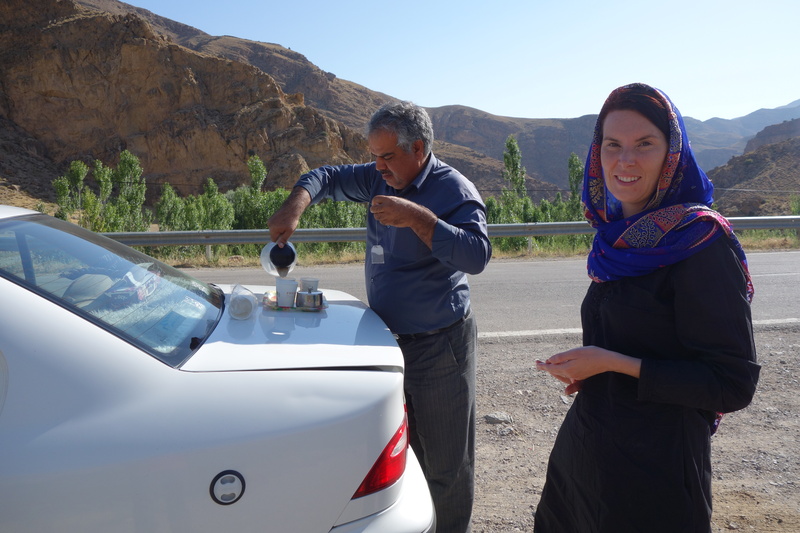 We arrive in Tehran after an overnight stop in Tabriz. It is a vast sprawling city surrounded by high dry mountains and cloaked in pollution. Huge freeways filled with traffic intersect in all directions. The national flag is displayed with ubiquitous pride. It is like a Persian Los Angeles; just without Ford mustangs, cut-off jeans and Rodeo drive. Our hotel is surrounded by shops selling tyres and dashboards but comes with Wi-Fi and an English speaking manager. Our plan is simple collect the Uzbekistan visa and keep heading east. There is confusion though as to where the Uzbekistan consulate is. Internet research produces conflicting advice. The lonely planet refers us to the New Zealand Embassy of all places. The manager at the hotel thinks it is near some bazaar but is not sure. We start the day by taking a taxi to the NZ consulate. Surely Lonely planet can’t be wrong? I think back to Tanzania when I carried my pack up that steep 4km hill that was supposed to be only 700 meters. I feel a twinge in my calf and expect the worst. I have drawn a basic map of the surrounding roads in order to help us navigate. Our taxi driver is not impressed and stops to canvas people stood by the side of the road. We are relayed from one to the next until we reach a corner by a park that is close to the embassy. The ride lasts around 30 minutes and costs us about 6 USD. Using my treasure map we find the NZ consulate but there is no Uzbek office attached. Lonely Planet has wrong footed us again. The officer is very helpful and looks up the address. It the same address that we had found on the internet. It’s less than a kilometre away but the streets are tight and twisting. We Pass the Chinese, Swedish and Cameroon embassies and eventually find the street. When we arrive at number 6, the office is empty and in darkness. The Embassy has moved. A tantrum is in the oven and baking. We panic and resort to asking security guards and innocent bystanders, all of whom can’t speak English, where the Uzbek embassy is? Uzbek is repeated over and over with little impact and no result. In a land of Farsi English has no value, but it does attract a lady who is walking by. She translates for us to one of the security guards who points up the street about a hundred meters. We arrive relieved at the Embassy for Uzbekistan but our joy is short lived. A sign on the gate informs us that visas are issued in a different building. The bell on the oven goes off, my tantrum is now roasted and ready to be served. Emma in a relative state of calm takes down the details and suggests we go back the NZ embassy for help, but along the way she spots 4th Park Street and saves the day. We handover our letters of invitation and passports with much adrenaline. A delay in issue will see us lose even more time and possibly jeopardise our visa issue for Turkmenistan. We sit on a flight of stairs, outside a small sliding window awaiting our fate. Fifteen minutes later and we are asked to pay 60 USD. We are going to get a visa and better yet it will be issued today. The duration though is only short. 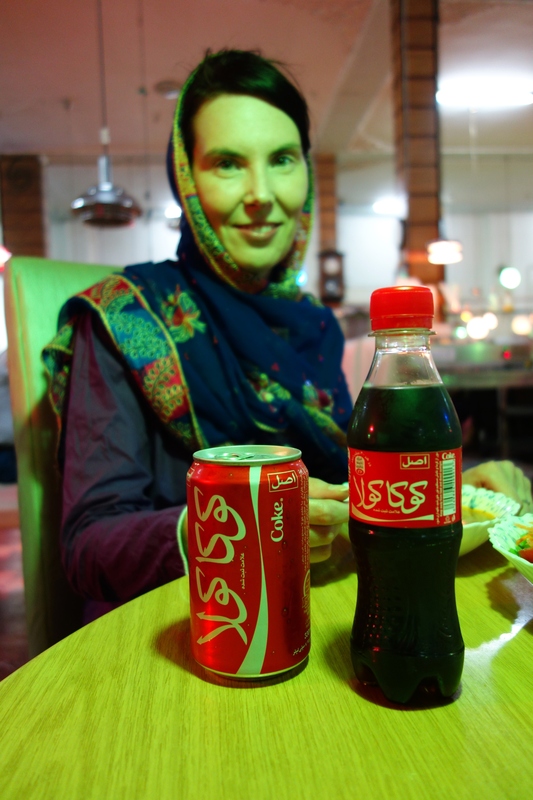 We have to cross northern Iran, Turkmenistan and depart Uzbekistan all within 11 days. If we have any problems with the Turkmenistan visa at the border the whole thing will fall apart. To drive in Tehran requires surgical skill and fortitude. Our brief affair with orderly traffic in Turkey is over. Cars and motor bikes duck and weave around us like champion boxers. Police officers dressed in tight black pants and huge sunglasses wave at the traffic. Their gestures look more suited to swatting flies as opposed to controlling traffic. The drivers must also agree, as there is little response and no respect shown. Pedestrians equire all the brevity of a D-Day landing. No amount of green walk lights or painted white stripes on the road will afford you any sympathy from the traffic. The general rule is to step out and walk at a constant speed without stopping. The surgical boxers will (in theory) take evasive action missing you by centimetres. With this in mind we take a leap of faith and cross the busy street outside the Central Train Station. We are heading to the city of Mashhad which will place us within striking distance of the Turkmen border. Mashhad, aside from being of geographical importance to the global overlander, is in its own right a very important city. 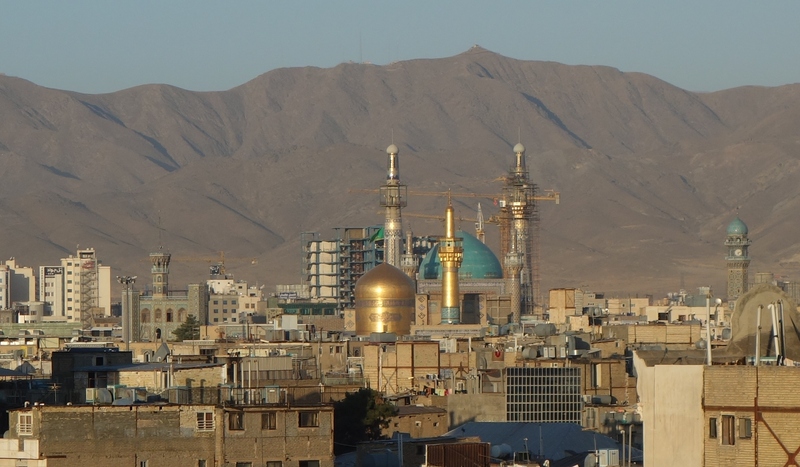 It is home to the golden domes of the Imam Reza’s shrine. It is a place for pilgrims and prayers. The cities hotels are full and our taxi driver’s contacts are tested. We eventually find an apartment with a lift that plays a pan flute rendition of Love Story every time the door closes. Later that day after a short rest we invest in a guide so we may better understand the history and importance of the complex. A kind faced man well into his seventies with blue eyes meets us at our hotel. We stroll through courtyards decorated with blue flower mosaics. The faithful are gathered but I begin to wonder if our elderly guide counts among them. His comments stray from history and artefact to ideas which are more associated with philosophy and science. When asked why the people are crying his response is measured and cynical. We find ourselves being guided in Iran’s holiest shrine by an atheist. Still his knowledge is without limits and I find the irony highly amusing. The inside of the shrine is lit with grand chandeliers and glass mosaics that would rival any found in the Palace of Versailles. The floor is a patchwork of green marbles and cool underfoot. The pilgrims gather in close to the central shrine to pay homage to the Imam. For many it is an emotional experience. It was not so long ago that we stood in a Christian Church carved from rock in Ethiopia, now we are in an Islamic Shrine in Northern Iran. That night we go in search of a restaurant that specialises in Persian deserts. Vitamin Sarah is an odd name but it produces a heavenly mix of sweets and cold drinks. Most famous of which is maajun. A magical mixture of ice-cream, bananas and honey topped with crushed walnuts and pistachios; the combination of which is sublime. We consume three between the two of us and contemplate our next border crossing. Early the next morning we take a taxi to the Turkmen border. The journey takes us just over three hours through dry broad valleys. We cross a small mountain range and climb up to the border. To arrive at this point has point has taken many weeks of emails, negotiations and red tape. 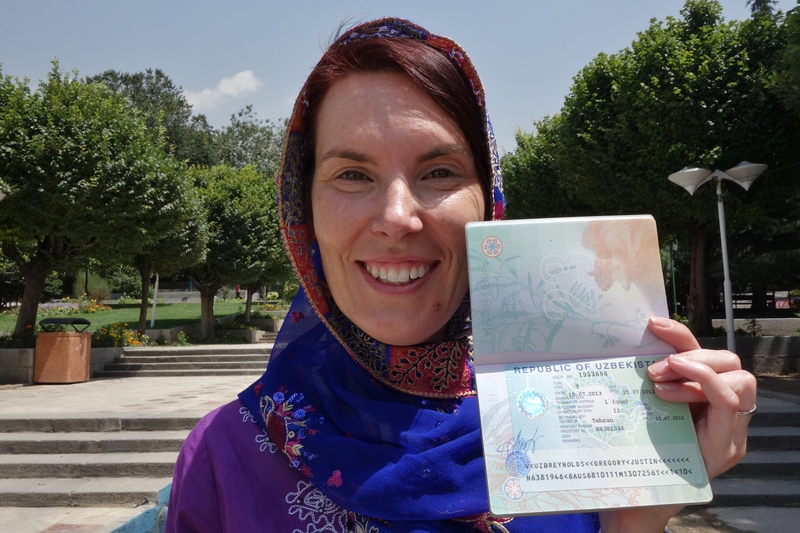 No one can enter Turkmenistan on a tourist visa without a fully escorted tour. You must be supervised while travelling with a guide and driver. It is possible to get a transit visa but long waiting times and an uncertain outcome has ruled it out as an option for us. The cost of our three day sprint across the country, including our precious “letters of Invitation” is a whopping $885.00 USD! 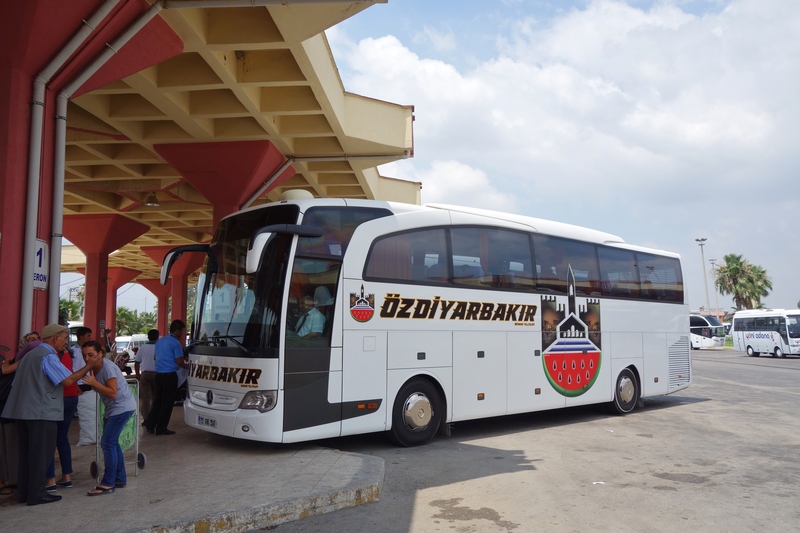 Turkmen tour companies have you over a barrel and they know it. The only saving grace is that the visa can in theory with a Letter of Extortion be issued on the border. It’s a heavy but necessary price to pay. Iran has no border with Uzbekistan and the only other border close by is Afghanistan. We depart Iran with some sadness. We had hoped to revisit some of our favourite places but on this trip it has not been possible. I wonder only for a short time if the keeping the peel intact is worth it but that feeling of connection and knowing it stretches all the way back to Cape Town pushes those thoughts quickly aside. The Iranian guards dressed in desert camouflage smile and gesture to us farewell. The Turkmen guards by contrast are dressed in jungle greens and seem out of place given their surroundings. Their eyes are almost Asian in appearance. In only a matter of meters the faces of people all around us have changed again. We are ushered forward into a stark and empty hall. To our left is a closed door, to our right is an old baggage belt and X ray machine. Straight in front of us a man beckons us forward in a language that sounds to my ignorant ears like Russian. He examines our passports and takes our Letters of extortion away for closer scrutiny. My mind contemplates how we pitch a tent in a two meter wide no-man’s land if we are rejected and the Iranians don’t allow us back in. The customs officer call us again and directs us to the closed door on the left. I open the door but it only reveals a small empty room with no other exit. The man behind the window points to a button on the wall. I push it but no one comes. He indicates to push it again and again and again if I am not mistaken by his many gesticulations. I see and obey, but no one responds. This cycle of stupidity continues for another 40 minutes until finally a woman with a tall head scarf and long flowing gown strolls into the office. She takes our passports and then demands $140 USD. When I try to question the amount which again according to LP is only 12 USD she starts shouting and waving her arms. She is bovine in both stature and attitude. We pay the money and collect a receipt. We need to get in and don’t want to rock the boat. A bright green Turkmen visa is pasted into our passports. There is no smile and no welcome, it feels like passing through Australian immigration. After a bag search and demonstrating the function of various camping equipment we walk outside into the Turkmenistan sun. There is no one there to meets us. There are no touts or taxis waiting. Just a lone road and an empty desert. What do we do now….